web design – How to Shape Human Behavior. 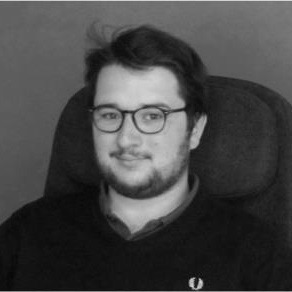 Digital Account Executive for Being, a network of TBWA and Omnicom, Paul Johanet has +3 years experience working with brands to create their brand identity through digital campaigns. How does your job fit into the advertising process? I’m the link between strategic planners, art directors, creative directors, copywriters, web developers and the client. I begin by taking the brief from the client if they have already prepared one, or I work with them to create the brief if they haven’t. I then meet with the strategists to further refine the brief before presenting it to the creatives. When it’s a large project such as a rebrand, or a brand refresh, I work alongside strategic planners. I take the company’s graphic guidelines (fonts, buttons, colors and sizes, photographs, etc) and then fit them into the brand’s digital campaign. If the company doesn’t have any graphic guidelines established then that means we’ll have to work together to create their brand identity. What kind of questions do you generally ask to create a brief? Who precisely is your target demographic? What do you know about your target demographic? If the client doesn’t know much about their target demographic I propose consumer studies be conducted – either by us, by the client, or by a third party. What are the constraints and guidelines? What are the communication and marketing objectives? What does it mean to be a digital account executive? Account Executives know all about the print environment, whereas digital account executives know about the digital environment. I know what the creatives and web designers can and cannot do, and if I don’t know, I’m supposed to know the right questions to ask to find out. Over the past 3 years, what have been the most common digital problems your clients have asked you to solve? Email marketing and advertising space in the form of banner ads and websites. Next there is the video pre-roll – the advertising that appears before, during and after the videos you watch on Youtube, for example. The efficiency of emailings, banner ads and pre-roll videos really depends on your brand and target demographic. ‘Nobody ever clicks on banner ads’ is a typical statement you hear. So do they actually work? Again, it depends on your brand, your target audience, the content of your banner ad, and the objective of your banner ad. But yes, banner ads are but one of many tools, and they do work in certain circumstances. Brands that budget for banner advertising see them as an opportunity for consumers to click on the banner and directly access their website. Banner ads usually promote offers and can be a great way to increase sales. As long as ‘enough’ consumers click on the banner advertising to show a justifiable return on investment, brands will continue to devote a certain budget to it. If you approach banner advertising as a branding campaign – a way of getting your logo in front of a large audience of consumers, then banner advertising can be considered a success. However as a branding campaign it can be difficult to rate the results because while you can tell how many impressions your banner received, you don’t know who actually noticed your banners and read the message on it. I’m a startup with a budget of 1,000€, should I invest in email marketing or banner advertising? Email marketing, but with a budget of 1,000€ I think maybe Facebook ads would be better. If you’re targeting teenagers or 20-35 year olds and you know your target is on Facebook, then go on Facebook because you’ll know you’ll reach them there. If you have a really large target demographic and you aren’t sure if they are on Facebook, then email marketing might be more efficient. But even if you purchase a qualified database of 1,000 emails, don’t expect a thousand hits to your website. Many of those emails will not be opened and many others will land in the spam file. Is there an acceptable conversion standard for email marketing? There will be a certain amount of loss in any campaign, and you must accept this. No marketing campaign can ever be 100% successful. Ultimately, is there a return on investment? Are you getting more money back from the money you are spending into your campaigns? A 1.5% conversion rate for good banner aimed at a highly-targeted consumer demographic might be considered acceptable. Everyone hates spam, so how do brands distinguish their email marketing from spam? I think brands consider it spam when you aren’t the intended target, and therefore smart brands purchase a database of highly-targeted emails to avoid being associated with spam. Whenever you fill out an online form to win a car or enter a giveaway, you’re usually giving your personal details to media agencies that take your data and can then sell it to brands. So ultimately, this is a difficult question to answer, because everyone hates spam, yet they continue to give brands their personal information and agree to the terms and conditions that allow their information to be sold to third parties. That’s why brands always provide an added interest – such as contests and giveaways to entice you to give them your personal information. There are tools out there that allow you to unsubscribe from brand mailings with just the click of a button, but in many cases people may forget that they unsubscribed from a website a brands newsletter a week prior and then re-subscribe to that brands newsletter again. How many qualified emails could I buy for 1,000€? It really depends. There are agencies who specialize in selling qualified email databases such as 1000 Mercis or Media Prism. There are many ways of qualifying a database to choose from. For example, they can sell you email addresses that have a high tendency of opening emails and clicking on the links, have a certain level of income and have a proclivity to purchasing products related to the ones you offer. The price always depends on how qualified the email database is: the more specialized your target audience the more expensive the database. When you add the price of the database for a one shot email campaign plus the production costs needed to create the emailing, there isn’t honestly much you can do with 1,000€. It would be better for you to spend your money on Facebook or Google AdWords advertising and create a landing page where you can collect emails to create your own email database. When you buy email databases, are you buying the actual emails or are you buying temporary access to the emails? It depends on your budget. Obviously, it’s in the provider’s best interest to sell you limited access to their database, otherwise they would go out of business pretty quickly. But does using those databases lead to being flagged as spam? I’ve not personally encountered this problem. There are certain ‘rules’ you should follow to avoid having your emails be marked as spam by the people or the emailers (such as Google, Yahoo, Outlook, etc.) who receive your email marketing. For example, avoid spammy and pushy words like: Winner, Special offer, Free, Huge promotion, etc. because when consumers see these words too often they automatically label you as spam. Also, when sending an email you must ensure that the message you’re sending is consistent and useful for the target demographic, and that the consumers you’re targeting are receptive. Respectable email database companies clean their database regularly and delete email addresses that never open emails or always mark their emails as spam. That is why it is useful to purchase databases from respectable email marketing companies rather than obtaining cheap or free email databases. But hands down the best way to do email marketing is by creating your own database – having a way for your visitors to give you their email address so you are 100% sure that they want to receive your email updates. What are the components of a good ‘viral’ website? Early 2000, it wasn’t as difficult to make viral videos as it is today because there was less people doing viral videos, so you just had to make an ‘out of the box’ video and it would get shared. Nowadays there is so much ‘viral’ competition on the web – some stupid, useful, interesting or fun – that you really have to make a good marriage between the idea and the technique. An idea that hasn’t been done before with innovative technology. Plus you have to support your viral campaign with paid advertising to ensure it reaches the tipping point to get spread. Purely viral content isn’t really ‘viral’ anymore because it still relies on paid advertising. Facebook continually limits your exposure on the internet in an attempt to force you to pay to ‘boost’ your post to reach more followers. How have brands responded? Consumers on Facebook don’t follow you only because they want to see your content – some people just like your brand and don’t care about your content. But if they really want to get content from you and they can’t find you on Facebook, it can be bad for you. Skittles, for an easy example, is a fun brand that targets teenagers and young adults. If Skittles wasn’t on Facebook and people couldn’t find their content on Facebook or Twitter, consumers wouldn’t understand. But if you’re a B2B brand that sells industrial trucks, like Volvo for example, it takes a lot of time to maintain and it’s oftentimes not very useful. That being said, Volvo trucks has a Facebook page and makes a lot of viral videos, even though they aren’t B2C and their target demographic wouldn’t follow them on Facebook. The fact is that Volvo trucks creates buzz that gets a lot of views. What are a few misconceptions brands usually have about digital marketing? When clients say ‘I want a viral advertising to increase my sales.’ Viral advertising can make your brand famous, but that doesn’t mean it will increase sales. For example, everyone on earth knows Chuck Testa, but how many people do you think actually call him to do their taxidermy? Emails and banners aren’t my favorite projects, but sometimes they’re the most appropriate way for a brand to advertise (given their brand message, product, consumer demographic and budget). Another difficult misconception is when the clients don’t listen to their agency’s advice and recommendations. Brands that approach a digital agency with the idea of ‘This is what I want, now go and do it’ are missing out on a lot of opportunities. A third misconception is that digital isn’t expensive, it’s quick and easy to produce and that there are absolutely no limitations to what you can do on the web. A fourth misconception is concerning responsive design – a website design that can work on every computer device from smart phones to tablets to desktops. Many clients believe that making a website responsive is as easy as adding a line or two of code to the html. But each different device requires a different website design to be made. Buying a responsive website design isn’t just buying one website design; it’s buying several website designs. What are some misconceptions consumers have about digital marketing? Consumers tend to assume that when a digital product (website, application, etc.) doesn’t work, it’s the brand’s fault. It might be your internet connection or the website host is experiencing technological difficulties, etc. The end consumer may be right to some extent to think like this because it makes it easier for them to distinguish brands who care about their image, plus it keeps brands on their toes and forces them to continually raise the bar and improve their products and services and ensure that they are better than their competitors. Until recently, websites weren’t required to disclose that they were using cookies, however new laws – at least in France – require brands to inform their visitors that they are being followed via cookies. The problem with this is that brands don’t always know if they have the right ‘cookie alert’ notice on their website because there are several different text examples depending on what kind of cookies you are using, plus most cookies software are specifically tailored to each individual website so it can be hard to tell which bracket you fall into. So you’ll end up with a lot of copy/paste – websites copying each other’s text assuming that the source they’re copying the text from is doing it correctly. Where do you go for inspiration and to help you do your job? Facebook and the people and blogs I follow to stay up-to-date. A few of your favorite advertising campaigns? It’s very rare to find brands as daring as Volvo trucks. Why? Brands that understand awareness and the need to create awareness tend to be more open to non-cartesian ideas. Advertising isn’t a perfect science so you must believe something is going to work, and be aware that it might not work. You have to take the risk. With brands that do not want to take the risk; it shows in their advertising. The strange thing about Volvo trucks is that they are pretty much a B2B brand, yet their commercials present more like B2C – they’re advertising to everybody. I have a small budget, any advice? Video truly is the king media. You could spend all your money creating a killer website and then spend hours researching and writing an incredible article, and that article will only last for one day. A good video, however, has more entertainment value, is more sought after than written content and your message will travel further and reach more people than written text will. Videos also tend to come up in conversations more often. Think about it this way: How often do you stop a conversation to show a person a video you saw the other day? How often do you stop a conversation to show a person a blog post you read the other day? Invest in making great videos. Invest in online public relations with companies such as E Buzzing who maintain a huge database of bloggers that you can pay to write articles about your business. The thing to remember when taking this route is that all your public relations will be noted as sponsored articles. Other sites like Help A Reporter Out connect journalists and bloggers with people who want exposure. 3) What they write about you will be positive. Incorporate a ‘submit your work’ model on your website so others can have their work featured. When they are featured they will most certainly share their being featured on your website with their followers. This would be a great passive way of building a community and attracting new people. I’m a recent graduate and I want to do your job, any advice? Internships. You don’t learn how to work in digital advertising and marketing in school. I did roughly two years of paid-internships in digital marketing before I was offered a full-time job. The client pays, the client decides. But be as transparent and honest as you can be. If you can’t do it, tell them. If you don’t think their idea is a good idea, tell them and then tell them why you think that. Even if they decide not to take your advice, they’ll see that you have their best interest in mind. That really goes a long way.